The Charities Regulatory Authority of Ireland today approved the An Saol Foundation as a charity. It took us months, if not year, to get to this point. Why? Because there have been so many scandals around charities in Ireland that they have made it really really difficult to register new charities. Now, we just have to register with Revenue for charitable tax exemption – and we’re ready to sign the Service Level Agreement (SLA) with the HSE to start implementing the An Saol pilot project. Wednesday is Music Therapy day. Today, Dolly came along to play her favourite role as a therapy dog. 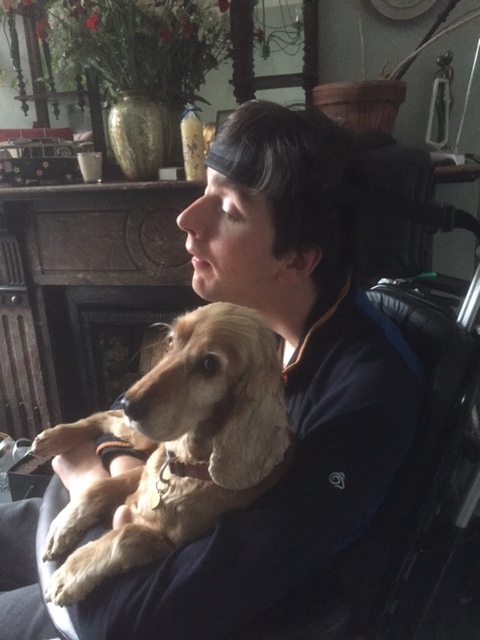 The happiness of the two sitting in the wheelchair was contagious and made me think whether we should try and get a therapy dog for Pádraig (and us:). The vibes were just awesome!